We are in cozy holiday mode over here, which involves lots of movie nights. I LOVE IT! 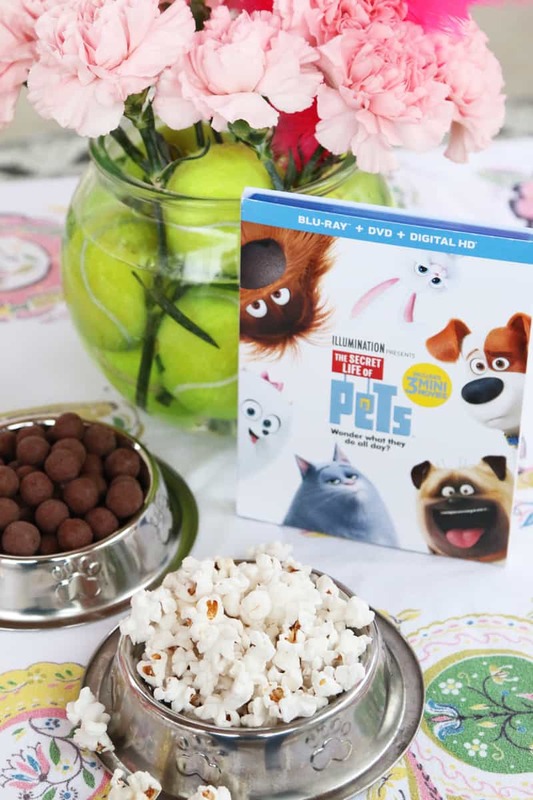 Since The Secret Life of Pets comes out today on Blu-ray & DVD (the new release comes with close to an hour of bonus footage PLUS 3 Mini Movies, eeep!) 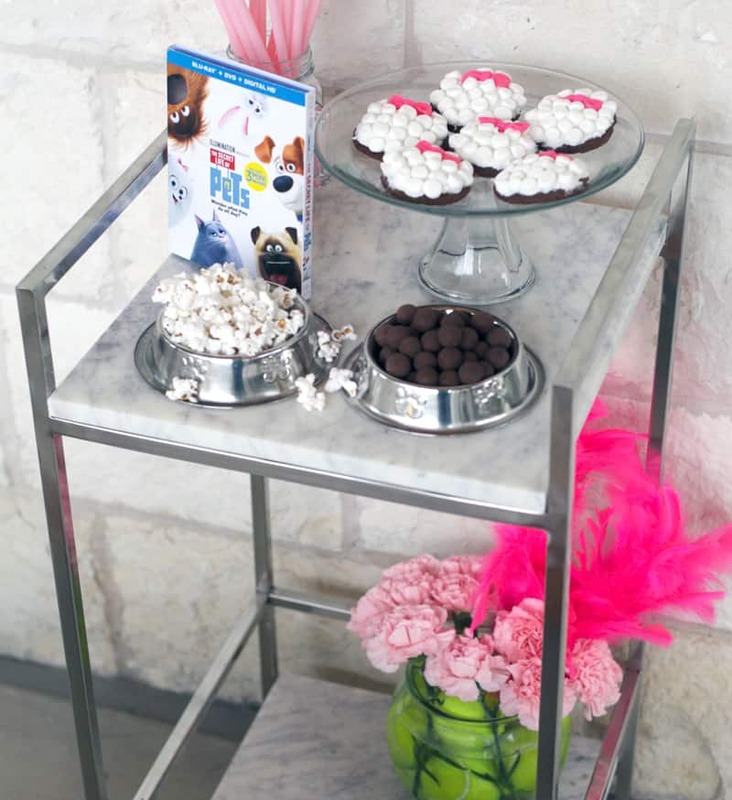 we couldn’t help but set up a fancy little snack table inspired by our sponsor Universal Pictures Home Entertainment and my favorite character from the movie, Gidget. 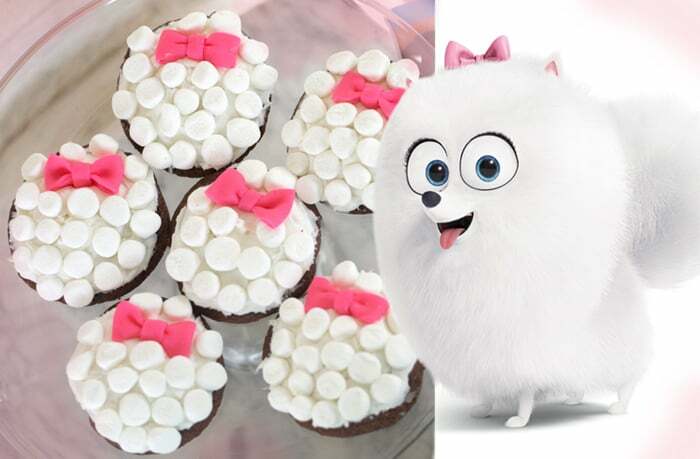 Gidget is a white fluff ball of a pup with a pink bow and a heart as big as New York City. I just love how brave and determined she is to find Max. It warms my soul. It’s so fun to fantasize about what our pets do when we aren’t home. I doubt their adventures are quite this exciting. The highlight of our spread was pretty, pretty marshmallow cookies that are simple to put together, darling to look at, and a delight to nosh on. 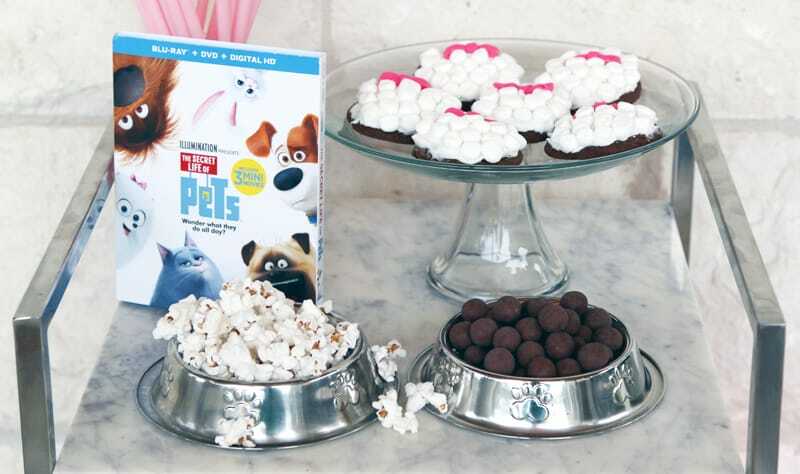 Read on for the simple no-bake instructions plus more ideas for a cute “Pets”-themed party. And yes those are malt milk balls in a kitty bowl. The kids are cracking up. And a little scared. 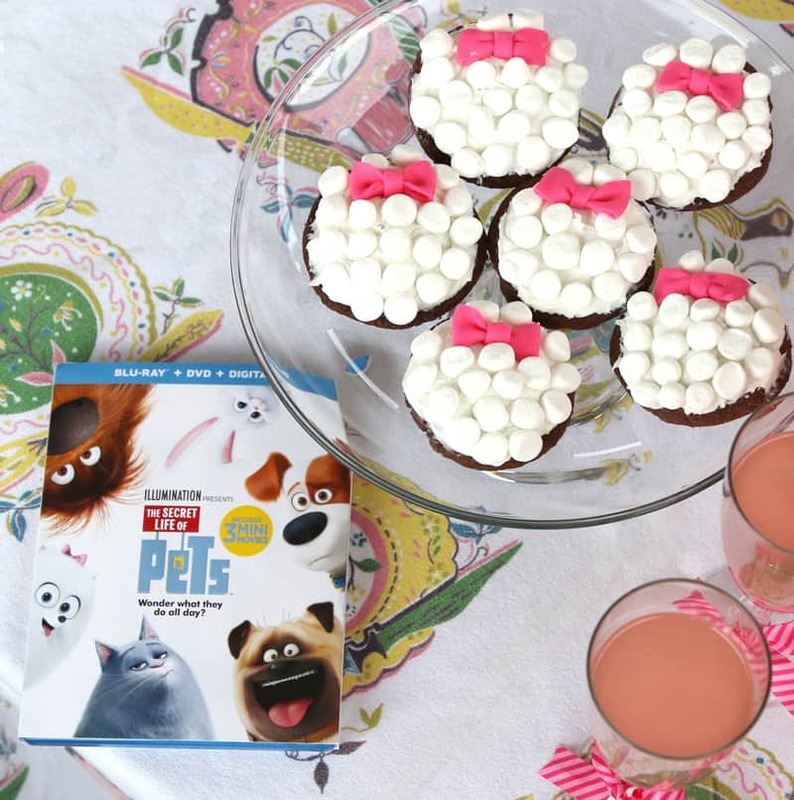 From the humans behind Despicable Me, The Secret Life of Pets is a comedy about the lives our pets lead after we leave for work or school each day. The all-star voice cast includes Louis C.K., Eric Stonestreet, Kevin Hart, Jenny Slate, Ellie Kemper, Lake Bell, Dana Carvey, Hannibal Buress, Bobby Moynihan, Steve Coogan and Albert Brooks. 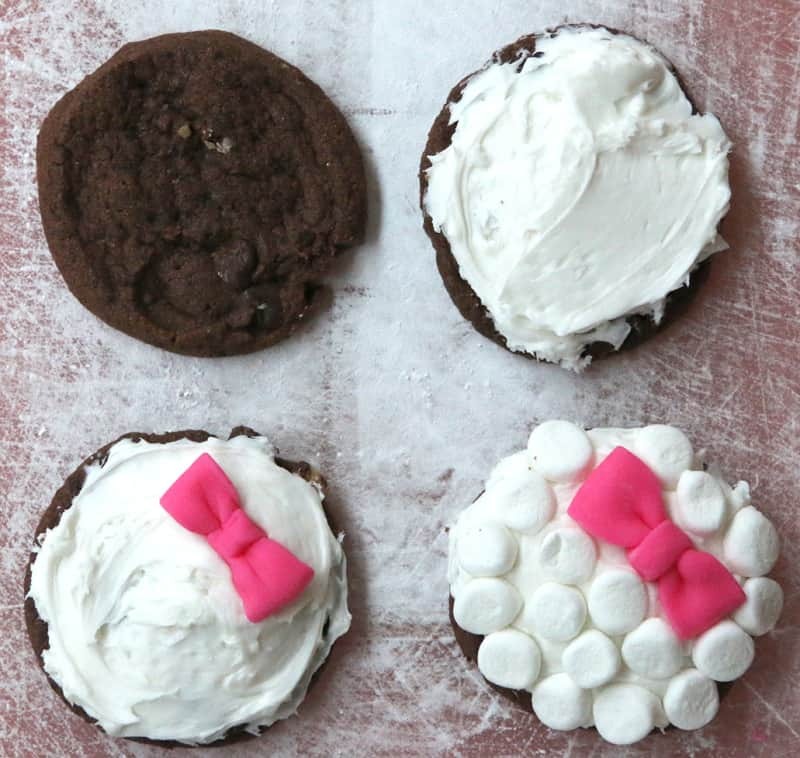 Of course for a fluffy Gidget cookie, I had to top it with a bow. 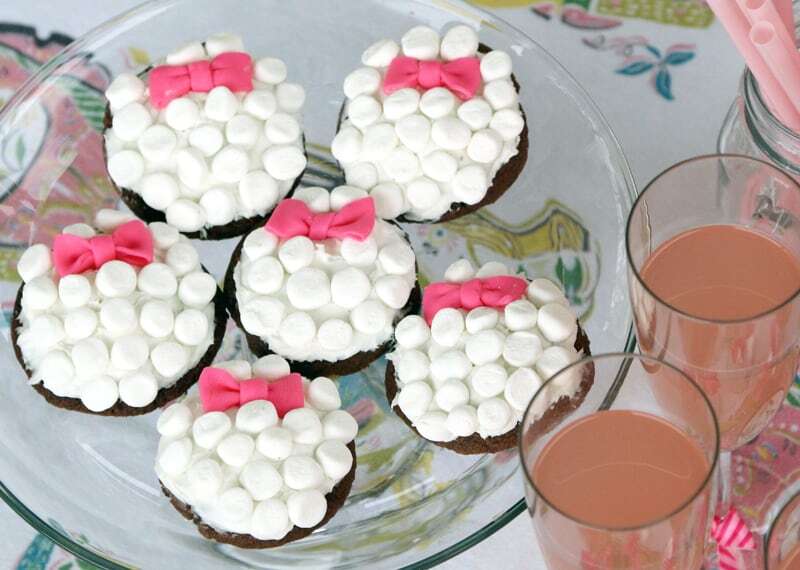 Here is how to make one out of fondant. – Roll out length of fondant about the size of a pencil on a board or matt coated in powdered sugar. – Use a rolling pin to flatten into a ribbon and cut a 3-4″ length. 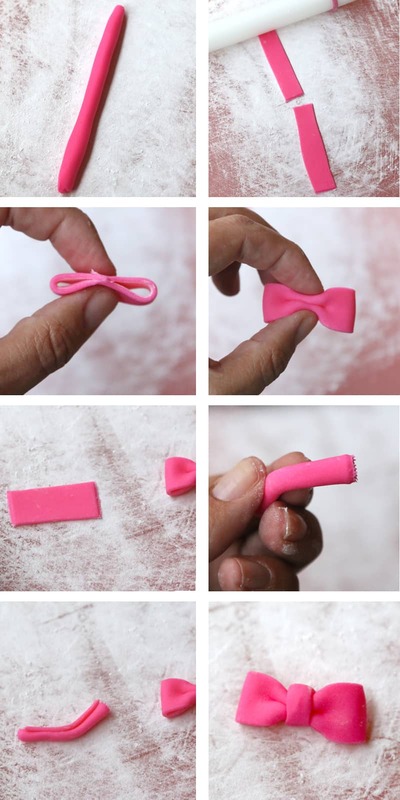 – Fold the sides back and pinch to close. – Crimp the center of the bow by folding the bow in half and then folding back the edges. – Cut another 1″ of ribbon. – Roll it the long way. – Wrap piece around the center of the bow and use a little water to seal if necessary. 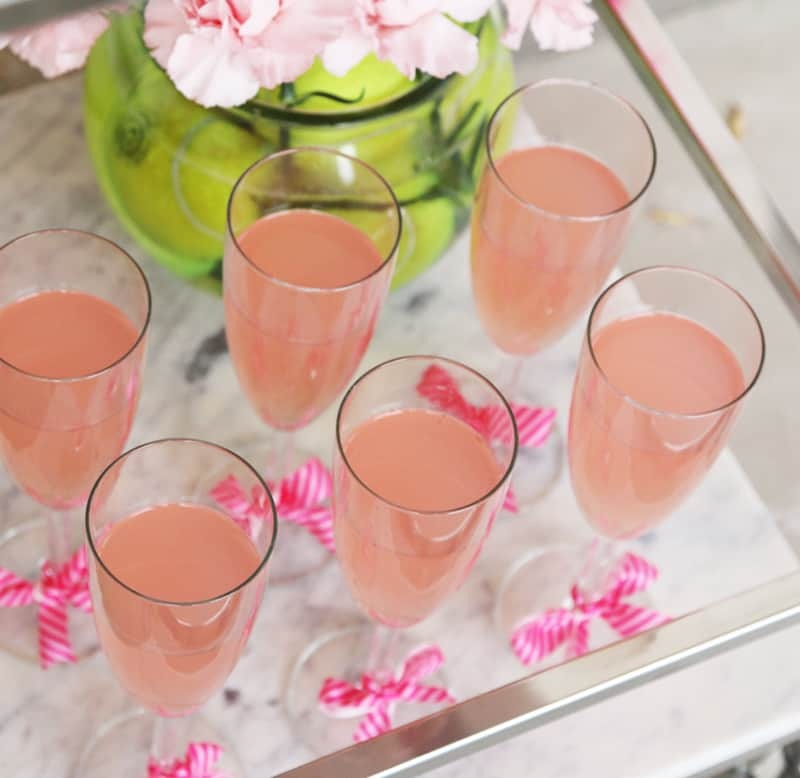 Now that you’ve made a pile of cute pink bows. Frost a bag/batch of your favorite cookies. Top with a bow. Cut a bunch of mini marshmallows in half and pile them on. The kids will love doing this part! Surprise them by piling some snacks in kitty bowls. So funny and weird. 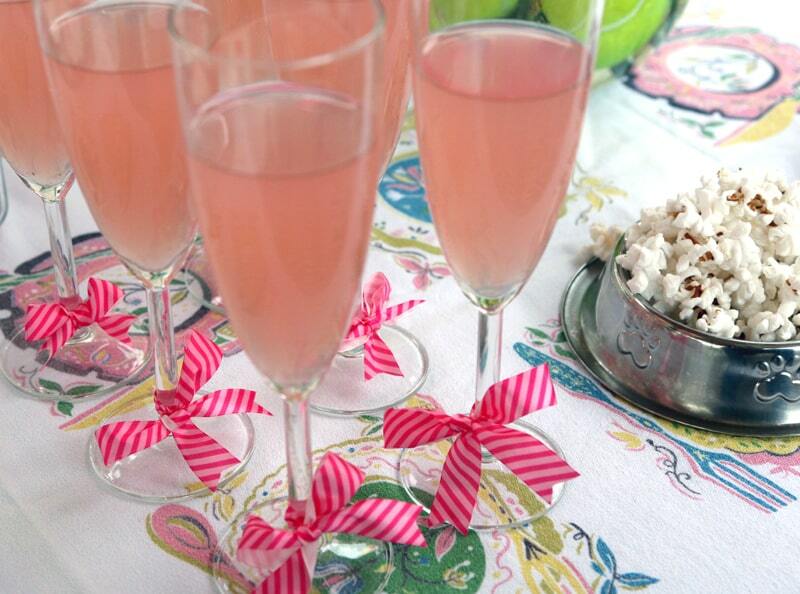 Tie pretty bows onto fancy glasses of lemonade. Add some tennis balls to a glass vase for a fun surprise. And enjoy the show! This post is in partnership with Universal Pictures Home Entertainment.